The State of B2B Marketing Automation report reveals that just over half of B2B organizations (53%) are using marketing automation and 37% say they are planning to implement it. Additionally, only two out of five survey respondents (41%) believe their organizations are using automation to its full capacity. The goal of this inaugural study — which surveyed more than 350 B2B marketing professionals in North America and Europe — was to “better understand how companies use and value marketing automation, looking specifically at the technology’s adoption, use case sophistication and perceived effectiveness.” Respondents were categorized as “Leaders” (companies whose marketing functions met or exceeded their FY16 business goals) and “Mainstream” (companies whose marketing functions did not meet their FY16 business goals). Furthermore, the report revealed that North American B2B organizations are ahead of their European counterparts in terms of marketing automation sophistication and results. The research found that North American organization are 14% more likely to use marketing automation compared to European organizations. “Marketers today face a changing, daunting world: a crowded vendor landscape, online channels that are fast-multiplying, a digitally disrupted customer journey, but more importantly, the customer they serve is more empowered and more in control than ever before,” said Huff. “As marketers, we must navigate through this change to succeed. 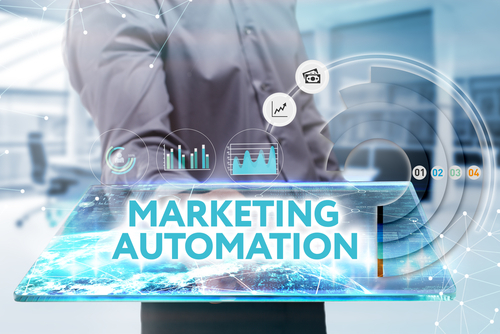 Increasingly, we are seeing companies embrace modern marketing technologies like marketing automation to help them better compete and achieve their business goals."